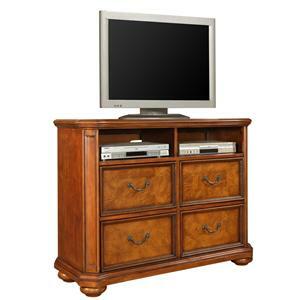 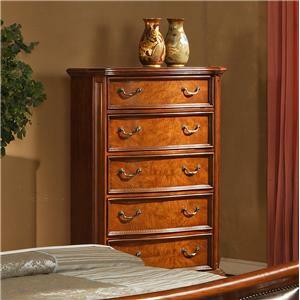 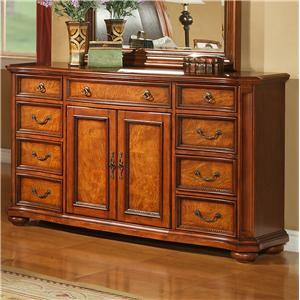 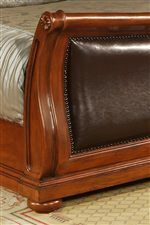 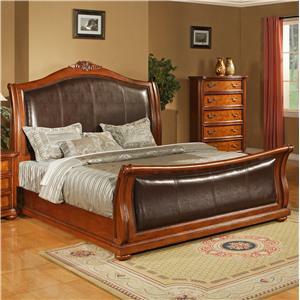 Position this three drawer nightstand alongside your master bed for convenience and classic style. 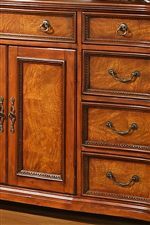 Drawer fronts are veneered, feature antique brass hardware, and are framed with dentil molding, fluted case corners, and crown molding at case top and case bottom. 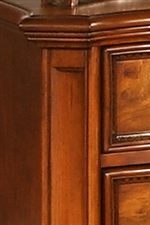 The case culminates in fully turned bun feet. 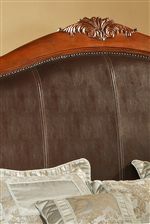 Use the case top for your alarm clock, photos of loved ones, and/or bedtime reading materials. 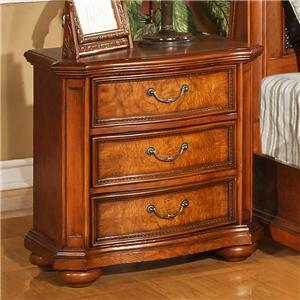 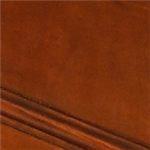 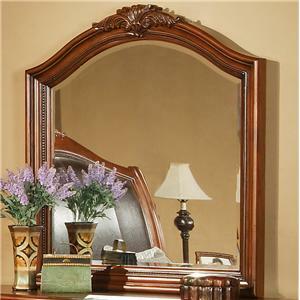 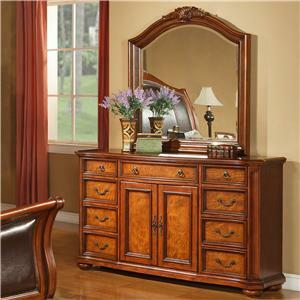 The 0243 3 Drawer Nightstand with Crown Molding and Bun Feet by Lifestyle is available in the area from BigFurnitureWebsite.